This is going to be an absolute cracker! Continuing our collaboration with Poetry Village Live, we are delighted to welcome two of our most acclaimed contemporary poets to Marsden as part of the Northern Writers series. Both Gaia and Tom will be celebrating the launch of new titles at this festive event. Join us for a wonderful evening of poetry in Marsden’s wonderful library setting in the historic Mechanics. And yes, there will be cake and mince pies! Gaia’s third collection of poetry transports us to the edge of things: to remote, treeless islands, to dark, unfathomable mines, to the gaping maw of grief. With frailty and ferocity, these poems map out the strange absences left in our lives when a rupture occurs – like the sudden appearance of a sinkhole – threatening to pull everything else down with it. Where the Road Runs Out is a powerful and intimate portrait of loss, isolation, and ultimately healing. Above all, it is a paean to the landscape, and the myths, magic and mysteries that lie just beneath the surface. 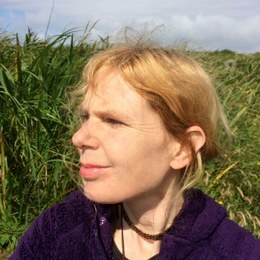 Gaia Holmes is a poet and lecturer in creative writing. She has previously made a living as a busker, a cleaner, a gallery attendant, an oral historian and a lollypop lady. In 2017, she was awarded a Hawthornden Fellowship and shortlisted for a Pushcart Prize. Her poems have appeared in the various anthologies including Milestones, I Belong Here, The Book of Love and Loss and Seductive Harmonies. Ruin is Tom Weir’s deeply moving second collection. It deals with grand concepts– loss and language, often accessed through influences from the sea and weather. 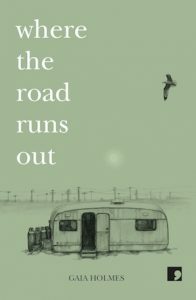 It includes the winning poem of the Magma editor’s prize ‘A Man Blames the Dent in the Bonnet of his Car on Two Deer’. 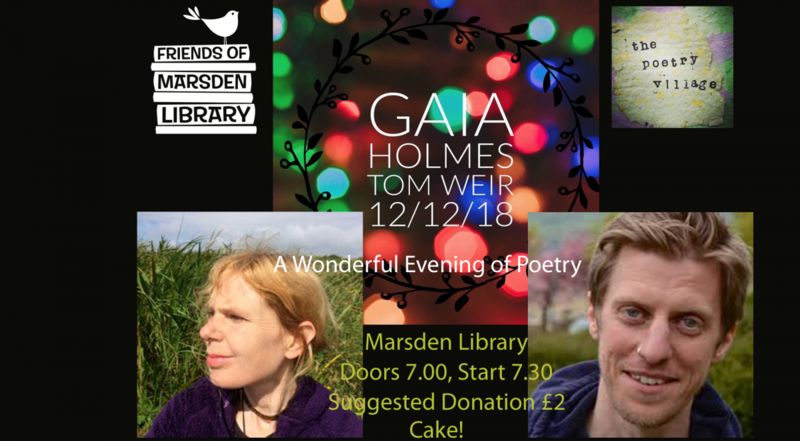 Tom Weir’s poetry has been Highly Commended in both The Forward Prize and The National Poetry Competition and he was the winner of this year’s Magma Editor’s Choice Competition. 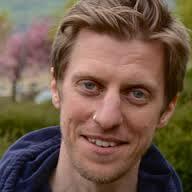 His latest collection, Ruin, received a grant from the Arts Council for which he is extremely grateful. Please arrive early. Suggested donation £2.00 (pay what you can) to help cover expenses.